— Attend worship at Martin Luther Lutheran Church in Carmine on the two weekends which always occur in the 12 Days of Christmas. Some folks pull back from worship during this time and miss out on a joyful time of the year at church. December 27 – The Feast of St. John, Apostle and Evangelist. Read one of the books connected to his ministry, such as the Gospel of John, the three letters of John, and Revelation. December 28 – Remembrance of the Holy Innocents of Bethlehem, Martyrs. Read about these victims of tyranny in Matthew chapter 2, especially verses 16-18. December 31 – New Year’s Eve – a chance to reflect on God’s grace for you during this past year. January 1 – The Name of Jesus. On this day we remember Jesus’ 8th day. Read about this in Luke 2:21. This is when his name was announced in a public way. The Epiphany of our Lord is mostly known as the celebration of the arrival of the Magi for their visit to bring their gifts of Jesus. It is much more. When we celebrate the Epiphany we are celebrating the spreading of the Good News of Jesus Christ. The Epiphany reminds us about the growing glory of God in the Son of God/Son of Man, Jesus Christ. 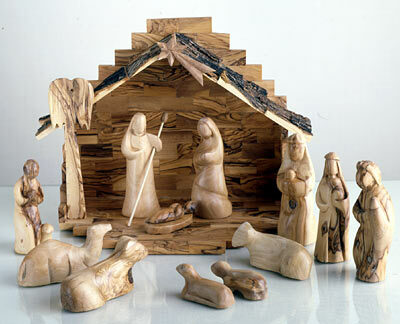 Epiphany is the manifestation or showing of Jesus to the world. The Magi were non-Jewish foreigners who came to worship Jesus, and are thus representatives of who would eventually benefit from the birth, ministry, death and resurrection of Jesus. This visit, from Matthew chapter 2, foreshadows the mission which Jesus grants to his followers. In the Great Commission in Matthew 28:16-20, our Lord commands us to make disciples of all nations, not just of the Jews. — Attend worship on Sunday, January 4, 2015, at 9:00 a.m. as we celebrate the Epiphany of our Lord at Martin Luther Lutheran Church in Carmine. The gifts of the Magi to Jesus point us to who Jesus really is. The Magi offer gold, a possession of kings; frankincense, used in ritual and prayer to indicate the presence of God; and myrrh, an oil used at the time of death as well as for anointing priests. By their gifts, the wise men reveal the identity of this child: the king before whom nations will bow down, the anointed high priest of God, and the suffering servant who will die for the ones he has come to serve.